Last year, more people shopped online than in stores on Black Friday for the first time ever. With online increasingly becoming the preferred way to shop globally, this result is perhaps unsurprising to some, but for those of us in the ecommerce industry, this marks a major turning point for Black Friday as we know it. Black Friday was originally a US holiday and has for decades been characterised by commercial chaos – shoppers camping outside of stores to ensure they get first dibs on sale items, and so many accidents occurring that the website blackfridaydeathcount.com was set up to record them in all their ridiculousness (seven deaths ninty-eight injuries that were Black Friday-related in 2014). Therefore, the concept of this shopping holiday going digital promises a much different story! As a result of this shift to digital, Black Friday is also becoming less of a shopping event that’s exclusive to US consumers, and is now transforming into a global phenomenon. As this infographic indicates, Black Friday appears to be ‘cooling off’ in the US, while other regions worldwide are becoming increasingly more involved with the holiday shopping season with each year that passes. But what does this shift to digital mean for retailers? Soon, perhaps retailers will begin resorting to (if they’re not partaking in this already) hiring actors to battle it out on shop floors, tazing each other to the ground in a quest to grab the last available Nespresso machine, while the rest of the world shops from the safety of their own homes. Maybe the only violence that will occur on future Black Friday weekends will be angry shoppers smashing up their tablet screens in frustration at missing out on, ironically, a half price sale on iPad minis. If there’s one thing the last couple of years have taught us is that big brands aren’t safe from digital f*ck-ups on Black Friday. Some of the world’s biggest retailer sites such as Walmart, Tesco, and even ASOS (a retailer that operates exclusively online) weren’t ready for the chaos, and as a result either crashed completely or couldn’t cope with the sheer volume of orders. It’s clear therefore that retailers need to adapt to the idea that they’re not only dealing with regional consumers on these shopping holidays, but by operating online they open their virtual gates to the entire planet. It’s crucial that they pay less attention to making sure unwanted stock is on shop floors to get shot of, and more time on preparing Web stores for high demand. What makes Black Friday going digital more complicated for retailers of course is that the online world knows no geographical boundaries – their market is no longer local, but global. The Web has created a borderless shopping world, and the result is that holidays such as Black Friday are no longer exclusive to the US, but must be shared with the rest of the world. In response to this, most brands offer free worldwide shipping on Black Friday, and recent research has found that shoppers prefer free shipping (value of approximately $6.99) over a $10 discount. This proves that the choice to shop anywhere in the world is valued by consumers more so than a straight-up discount. This year, we’ve already begun to notice some really interesting trends occurring as a result of the borderless nature of online shopping. November 11 is Singles Day in China, which is like China’s version of Black Friday mixed with an anti-Valentine’s sentiment where those who don’t have a partner are encouraged to splash out on gifts for themselves. Although my company Flipit currently has no presence in China, we were blown away by some of our numbers on 11 November. Amazingly, we found that our digitally savvy online shoppers in Europe went in hard, taking full advantage of the Single’s Day discounts despite this shopping event being largely unrecognised in Europe. Aliexpress, a B2C platform that facilitates Chinese businesses selling outside of China, is featured on many of our European sites. Our Aliexpress France page in particular experienced more than 2200 percent increase in sales on Single’s Day alone, showing that online shopping holidays truly know no boundaries. We’re yet to see how Black Friday pans out this year, but if 2015 predictions are correct then Singles Day has knocked Black Friday out the holiday season ballpark this year, with a 60 percent growth rate and sales reaching $14 billion (compared with Black Friday’s meagre 2.4 percent growth and predicted sales of $12.59 billion). Despite the low growth predictions for this year’s Black Friday weekend, it’s worth noting two things that indicate just how drastically this holiday weekend is changing. First of all, growth overall may be slow this year, but online spending is predicted to grow by 33.25 percent compared with 2014, confirming that last year’s shift to digital was a sign of things to come. Secondly, if we exclude US figures from the predictions, this in fact indicates a 10 percent increase in the rest of the world. 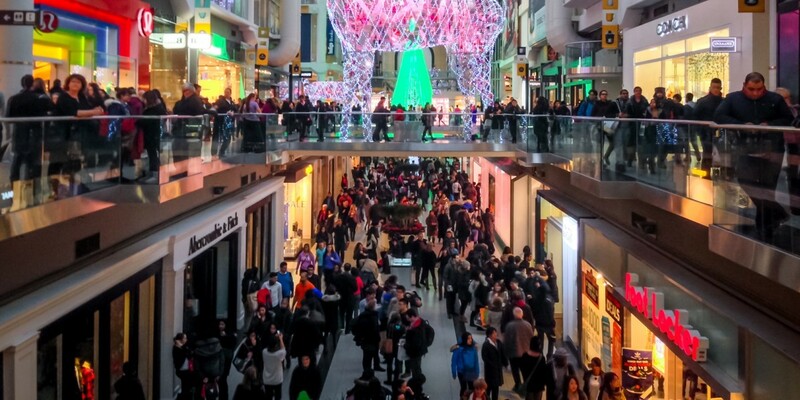 It’s clear that Black Friday is now a global phenomenon: now is the perfect time for retailers operating outside of the US to get their slice of the Black Friday pie.